Most people will make a checklist before they make any major decisions, whether it be moving to a new job or making a major purchase. These types of checklists can help you organize your wants and needs. Before you buy a digital camera, it's also important to do your homework. There are so many models on the market at so many different price points that it can be confusing, so creating a camera shopping checklist will be time very well spent. By taking a little time to prepare before you buy, you'll greatly increase your chances of ending up with a model that meets your needs. 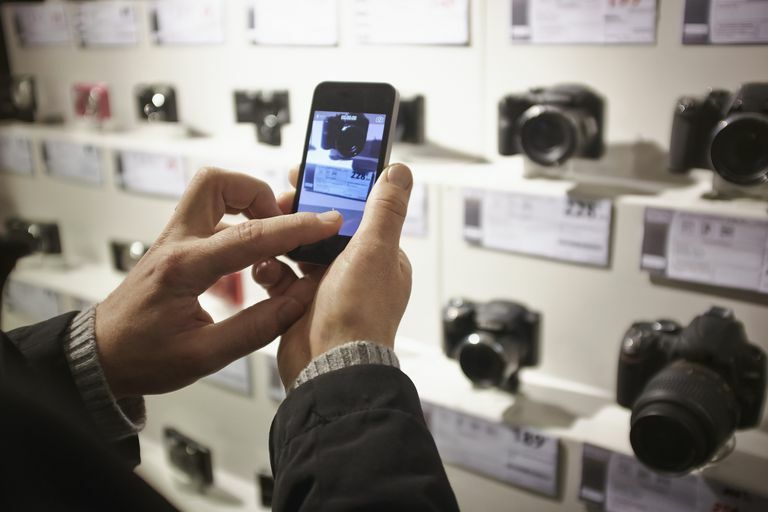 Use this digital camera shopping checklist to figure out what you need to know before you buy. Before you arrive at the store, talk to others. A recent study showed more than three-quarters of American households own at least one digital camera, so you should take advantage of the knowledge others have gained. Friends and family can be a great resource for learning about which digital cameras work well and which don't. You'll also be able to figure out which features are important to them, which may spark some ideas for you. Opinions posted on the Internet are OK, but face-to-face opinions from people you trust and know are much better. Figure out how you'll use the camera. If you'll shoot a lot of nature photos, you'll want a large zoom lens. If you're going to shoot your children's athletic events, look for a large zoom lens and fast response times in a digital camera. If most of your photos will be of friends and family at parties, you may want a model that performs well in low-light conditions. If you aren't sure how you'll use the camera, or if you don't have a primary focus for your photography, try to pick a good all-around model. Figure out what kinds of prints you'll make. Most new digital cameras, even beginner-level, point-and-shoot models, contain plenty of resolution to make adequately sized prints. However, you still need to make sure the digital camera you buy has enough resolution for the print sizes you want. Resolution and print size are related to each other make sure you understand how that works. Figure out what size of camera you want. Some people prefer larger digital cameras that are easy to hold. Others will want to buy a small, thin model that fits easily in a pocket or purse. Finally, some will prefer a model that exudes a sense of style. You'll still need to try any model before you buy it, but you can think about and make some decisions ahead of time on the size and style of the camera you prefer. Learn the jargon. Read through a digital camera glossary to familiarize yourself with all of the terms and features involved with digital cameras. You'll make a better choice if you have educated yourself. Set a budget. Figure out how much you want to spend before you reach the store. Once you set a budget, be sure to stick to it. The top budget cameras come in the $100, $150, $200, $250, and $300 price ranges. Figure out how you'll connect. If you have a newer Windows computer, you should have no problem connecting your digital camera to the computer and downloading your pictures. However, if you own a Macintosh or an older Windows computer, you'll want to be sure the digital camera you eventually buy can work with those computers. Be certain you have the ability to create backup copies of all of your photos, whether you burn CDs or use an external hard drive. Be honest about your photography experience level. A common mistake for beginning photographers is buying a digital camera that's too powerful and expensive. If you're a beginner, and the salesperson suggests a point-and-shoot camera, you should listen. Save those more advanced cameras for after you've honed your photography skills. Try various models. The feel and balance of every digital camera is a little different. Test a few different models and find one that fits your hands. Make friends with the salesperson. One of the biggest problems with point-and-shoot models involves the LCD. Because so many beginner models now contain no separate viewfinder and only allow you to use the LCD to frame your photo, a high-quality LCD is important. However, some LCDs can be very difficult to use in bright sunlight because of problems with glare. Try to talk your salesperson into allowing you to try the model outside, in the sun, to test the LCD. At the very least, a friendly salesperson might be more willing to give you an honest answer about any LCD problems with a particular model. Compare prices. If you have plenty of time before you need to buy the camera, do some price comparisons. After you've narrowed your list to two or three different options, write down the price and exact model number. Use the Internet to visit various retailers and compare prices on the models. Read through some of the opinions others have posted about the models. Return to the store and see whether it will match any prices you found online. Figure out warranty and return information. Before you part with your money, be sure you know the store's return policies and the camera's warranty. Return policies are especially important if you plan to give the digital camera as a gift. Some stores might only accept a return within 14 or 30 days of purchase, which won't help you if your sister's birthday is in 45 days. In that case, you might be better served by waiting to purchase the gift until just before her birthday. You'll also have to decide whether you want to purchase the extended warranty, which varies from store to store.